Pet Food Center opened the doors at our first location in 1990 in Newburgh, Indiana. We are committed to providing superior customer-focused service and carry a wide variety of pet food and supplies. People who care about their pets trust Pet Food Center’s quality name-brand products and services. 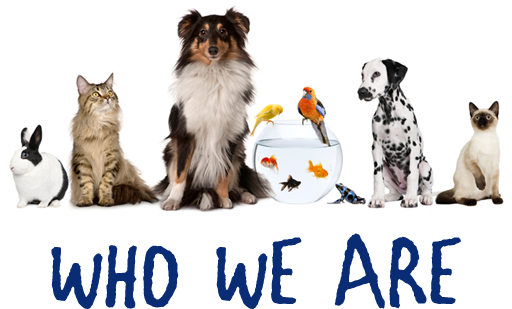 We are a locally owned company, operated by people who love animals just as much as our customers! We carry over 6,000 different items and are devoted to making sure the pets in your life have everything they need. Our stores also carry live animals including fish, hamsters, gerbils, parakeets, reptiles and other exotic pets that make wonderful additions to your family. Our stores have been awarded the Evansville Courier & Press Reader’s Choice Platinum Award seven times for Selection & Service and we are dedicated to upholding that standard. 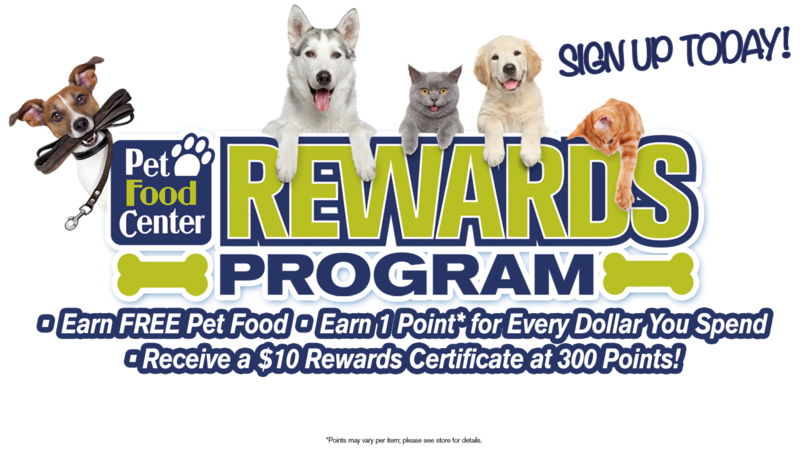 Pet Food Center also works closely with community organizations and humane societies that support the protection and assistance of all animals. We strongly believe in the efforts made by our local animal rescues and shelters and strive to support their ambitions. We offer adoption opportunities and donation boxes at most locations (please see calendar of events for more information). Come in and visit us at any of our convenient locations, and don’t forget to ask about our low price guarantee next time you are shopping! Your pets are always welcome to shop with you at any of our six locations in Indiana, Kentucky and Tennessee. 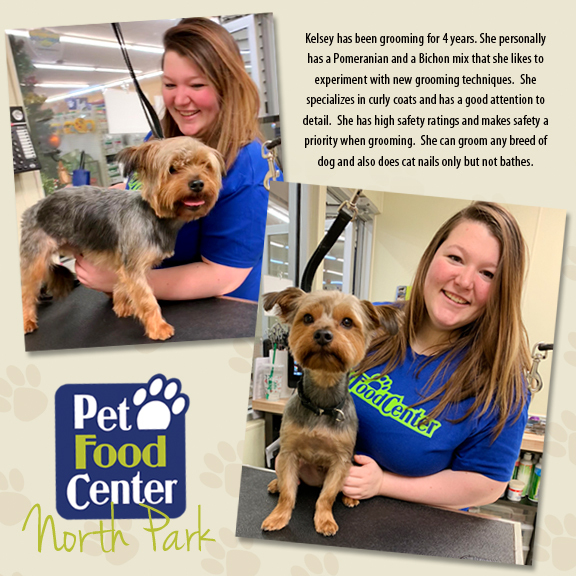 We realize that pets truly are family and thank you for trusting Pet Food Center for all of their needs. Kelsey has been grooming for 4 years. She personally has a Pomeranian and a Bichone mix that she likes to experiment with new grooming techniques. She specializes in curly coats and has a good attention to detail. She has high safety ratings and makes safety a priority when grooming. She can groom any bread of dog and also does cat nails only but not bathes. It is with great sadness we announce the passing of our long-time mascot and loving feline friend, Scooter. Scooter has been greeting and assisting our customers for 19 wonderful years and he will be deeply missed. Scooter was adopted by the store in 1999, and quickly became a star! 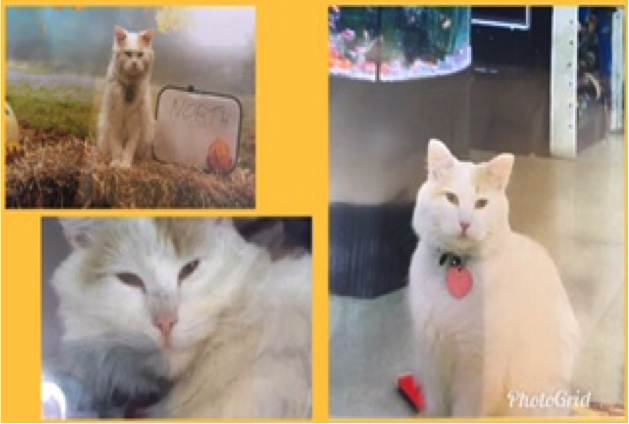 From the moment our customers voted on his name, through surgery to repair a hip injury, to his daily pleas with customers to give him a treat as he knocked cat cans off the shelf. Lunch breaks for employees will not be the same without Scooter there asking for a piece of food. He will also be missed in the aisles by customers with whom he loved to ride in their cart with as they shopped.